Formaldehyde is a reactive chemical which undergoes spontaneous reactions with various cellular constituents. Mutagenicity data may be interpreted on the background of this behavior. Mice are better able to reduce the irritating effect of formaldehyde than rats and to reduce their ventilation rate when formaldehyde acts on the respiratory tract. Subacute exposure of rats to concentrations higher than 2 ppm inhibits mucociliary clearance of the nasal epithelium and leads to progressive histological and ultrastructural lesions at this site. The occurrence of squamous cell carcinomas of the nasal epithelium of rats after 2 years inhalation of 14.3 ppm formaldehyde (CIIT study) is probably the result of chronic and recurrent local toxicity; this is supported by species differences in susceptibility to the tissue damaging and carcinogenic effect of formaldehyde (rat, mouse, hamster). Data on formaldehyde-DNA interaction further support the argument that a direct risk extrapolation from the formaldehyde effects in rats to those expected for man is not possible. 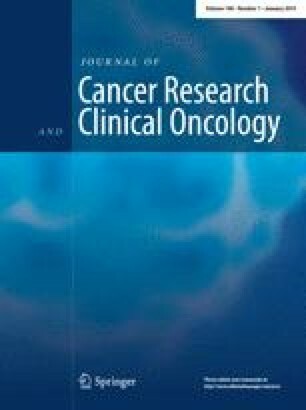 “Cancer Research and Clinical Oncology” will publish in loose succession “Editorials” and “Guest Editorials” on topical and controversial problems in experimental and clinical oncology. These contributions will represent the personal opinion of the author. We would like to ask our readers to send their comments directly to the author.